The soccer game and senior celebration for soccer, track, golf tennis and baseball originally scheduled for tomorrow, April 23 has been moved to TONIGHT, April 22. The senior celebration will begin at 5:45, with soccer games beginning at 6:30 pm! Go Rockets! Rocket Soccer has officially made the STATE playoffs! The Lady Rockets are the #1 seed heading into the state tournament and have also been named the District Champions! The Rockets are entering the state tournament as the #2 seed. The first round of the state playoffs are NEXT Friday, April 26 at HOME! This is the first time MSM has had the honor of hosting soccer state playoffs! 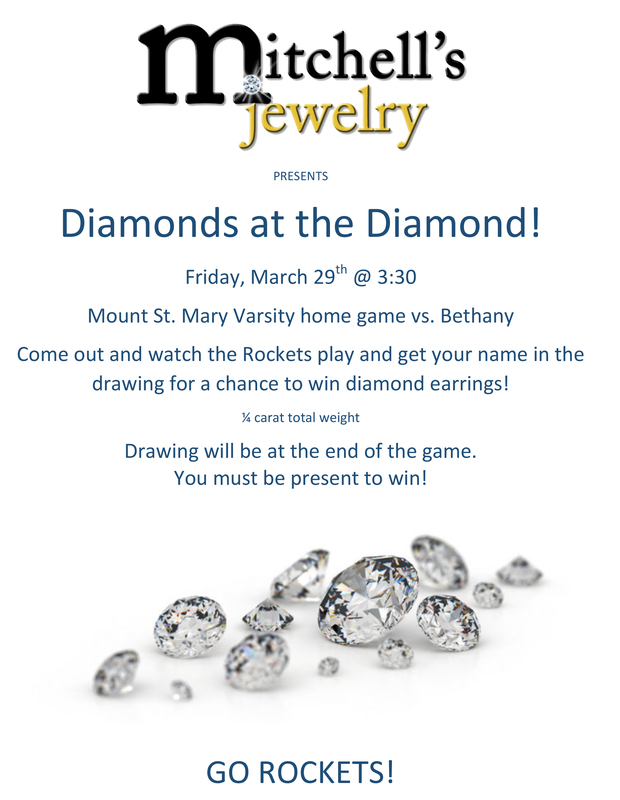 Join us for the fun and to support Rocket Soccer! Congratulations to MSM Visual Arts students Shelby Rubino, Hayden McKee and Diana Orellana whose art was accepted into the OAEA state sponsored Art Competition for 2019. Their work was on exhibit this past month and they were honored recently at Oklahoma Christian University. Rocket Robotics was recently honored with a bid to the World Championships but also was selected to receive the TOP AWARD.. The Chairman's Award! We will keep you updated on how you can support our Rockets at WORLDS! 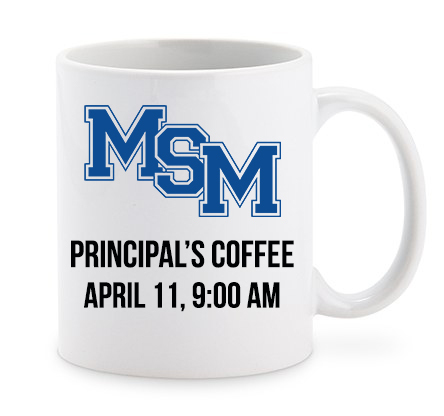 Today, Monday March 11, kicks-off the MSM Week of Giving 2019! The MSM Week of Giving is a fun week where the entire MSM community rallies together to build up the annual fund! Our goal this week is to gain 100 % participation from our students, staff and Rocket community. When we all pull together and participate in anyway we can, BIG things happen! ALL donations will be matched, up to $90,000.00. -MSM Phone-a-thon: Monday ad Tuesday, March 11 & 12, 6:00 - 8:30 pm. When one of our awesome MSM student's calls you, this is a chance for you to participate in the Week of Giving! -Give Online: Click the "Giving" tab on our website at www.mountstmary.org to give anytime this week! -Students and Teachers: Give during lunch and receive your FREE t-shirt! On Thursday of the Week of Giving, everyone who received a t-shirt can wear their new I SUPPORT MSM t-shirt with jeans! -Get Social: Check our social media often, you will see the latest person who gave, live action of our students at the MSM phone-a-thon and use our hashtag, #isupportmsm. Get involved! Show your support! Congratulations to our Instrumental Music Ensemble for an excellent showing at their very first OSSAA Concert Band Regional Competition ever! IME earned their highest rating ever in large group competition, a II, despite missing several rehearsals due to weather and illness. ( Next up for IME is the State Jazz Ensemble Competition in April! Congratulations to our Rocket Vocal Music Ensemble for a Superior showing at the OSSAA Choral Large Group Regional Competition Thursday! For the 4th consecutive year, our Treble Choir qualified for State, sweeping Superior ratings from all judges as well as earning a Superior rating in "sight reading." For the second consecutive year, our Mixed Choir qualified for State, also sweeping Superior ratings from all judges and earning an Excellent rating in "sight reading." We have now qualified all 4 choirs for State!! Way to go, Rocket Music Department! Mount St. Mary welcomed Jason Everet to campus today to speak to our Rockets! Jason is a Catholic author and chastity speaker. He founded Totus Tuus Press and Chastity Project, an organization that promotes chastity primarily to high school and college students. Jason speaks with sincerity and humor. We are so thankful to have Jason on campus to be a part of the spiritual journey of our Rockets! Congratulations to Rocket senior volleyball player, Cloie Mitchell, on signing a letter of intent to play volleyball at Oklahoma Christian University! Congratulations to the Rocket Boys Golf Team on claiming the 2nd place title, the highest placing in golf recent history, at the Cedar Valley Tournament in Guthrie on March 5! All after school activities for Wednesday, February 27 are cancelled. The library will close at 3:10 today. Due to potential bad weather later tonight, we are moving the MSM Soccer scrimmages up by thirty minutes for today, February, 26. JV Girls will begin at 3:30 pm and all the other games (JVB, VG, VB) will follow closely after. The Junior Retreat, originally scheduled for tomorrow, February 26 has been rescheduled due to the cold weather. Questions? Call the MSM main office at 405-631-8865. Go Rockets! CONGRATULATIONS to our Rocket Vocal State Qualifiers! For the first time EVERYONE who competed at small group qualified for State! Other firsts include our TBB Choir and first male soloist qualifying for State! Way to go... ROCKET PRIDE!! The Lady Rockets has an exciting game yesterday and fought hard until the end but fell short, losing to Perkins and ending their season. Congratulations on a great season, Lady Rockets! We are PROUD of you! The Rockets defeated Victory Christian in the final game of the regional tournament which advanced them into the area tournament. Join the MSM community THIS Thursday, February 28 at 8:00 pm at Catoosa High School for game one of the area playoffs! We must WIN to ADVANCE! The Rocket FTC Robotics teams did awesome at the Oklahoma State Championship this past weekend! Team 4266 Makin' Stuff Move finished 11th overall in the qualification matches and won 2nd place Connect Award! Team 4962 Rockettes won the Connect Award, were 3rd Place Inspire Award, 2nd place Control award, made it to the semifinals, and are first alternate for advancement to the World Championship. Nick Howard, Katie Abshagen, Bria Smith, and Zack Tyler were semifinalist for the Dean's List (top individual award). Congratulations to the Rocket Swim Team for finishing their season at the State Championship meet over this past weekend! Tony Owens finished 12th in the 200 yard freestyle and 8th in the 500 yard freestyle. This is the best individual finish in MSM history! The Rocket boys team including Cody and Lane Smith, Aaron Copeland, Gabriel Cornelius and John Paul Pierce also swam to contribute to the 11th place team finish. The girls team of Shannon Varenhorst, Beth Kinyon, Grace Shreffler and Hadley Dowers also finished 13th in their medley relay! Way to go, Rocket Swim Team!! Rocket Pride! Rocket Basketball is ready for OSSAA REGIONALS! 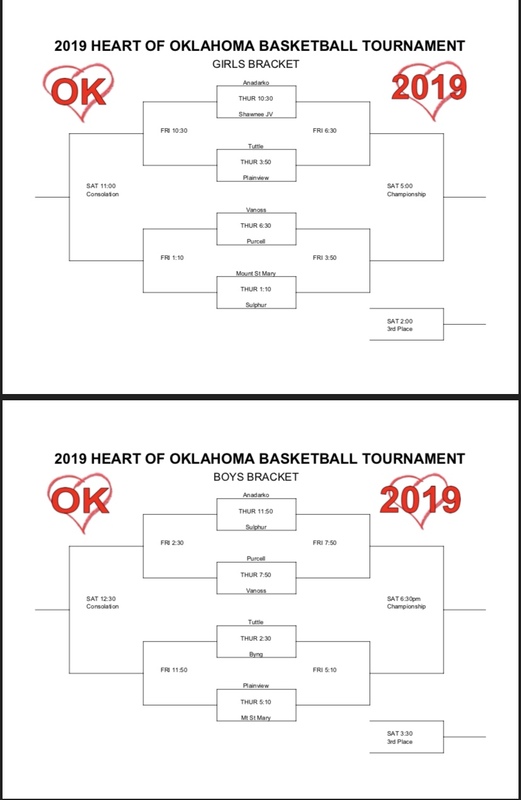 Join us this Thursday in Harrah as our girls play at 1:30 and boys play at 3:00! Thursday's results predict game times for Friday. Check back for updated times! We need ALL of Rocket Nation in the stands for playoffs! Rocket Pride!! Due to forecasted weather, Tuesday, February 19, is a cyber day. Due to forecasted winter weather, early enrollment has been moved to Monday, February 25th. Same times, 3:30-5:30 at Mount St. Mary High School. If you have questions, please call Diane Wilson at 405-631-8865 or email at dwilson@mountstmary.org. If you haven't been to Swim State, things go pretty fast and it's exciting to watch and cheer for our athletes! The State meet will be held at the Mitch Park YMCA. The address is 2901 Marilyn Williams Drive, Edmond. Friday's events are the Prelims and Saturday's events are the State Finals and both start at 5:00pm. Congratulations to Rocket senior basketball player, Cedric Rollerson, on winning the title of Vype OKC Area Basketball Player of the Month! Click the link below to read his interview!